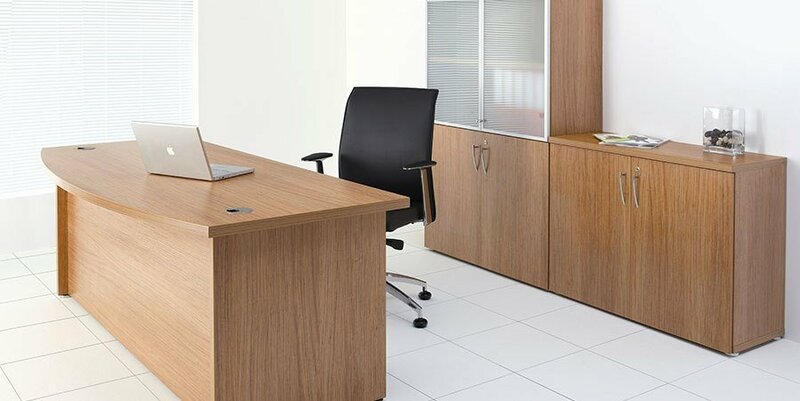 Express executive office furniture in dark or light walnut held in stock in the UK for a 24 hour delivery. Extra thick tops add a feeling of distinction. Regency executive furniture has a five year warranty. The rectangular or bow fronted executive desks have a side panel leg design with integral modesty panels. Regency is delivered flat packed for easy self assembly or can be installed via our nationwide installation service. Our installers will install the furniture in the area it is required and remove all packaging.